I was talking with some friends about a movie that I saw maybe five years ago that starred Jim Cavezel, Val Kilmer and possibly Danzel Washington. It was about this guy that was a police officer or government agent that was brought in to help observe the past through a wormhole to try to learn who was behind a terrorist attack. In the end he goes back him time himself to prevent the attack. It's really bothering me that I can't remember what this movie is called. 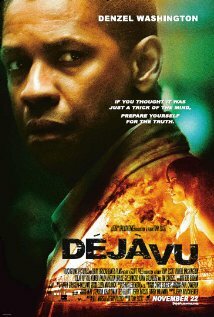 The movie you are looking for is Deja Vu. Not the answer you're looking for? Browse other questions tagged story-identification movie time-travel or ask your own question. Can you identify this time travel book series? Can you identify this time-travel/alternate history novel? What is this time-travel film?